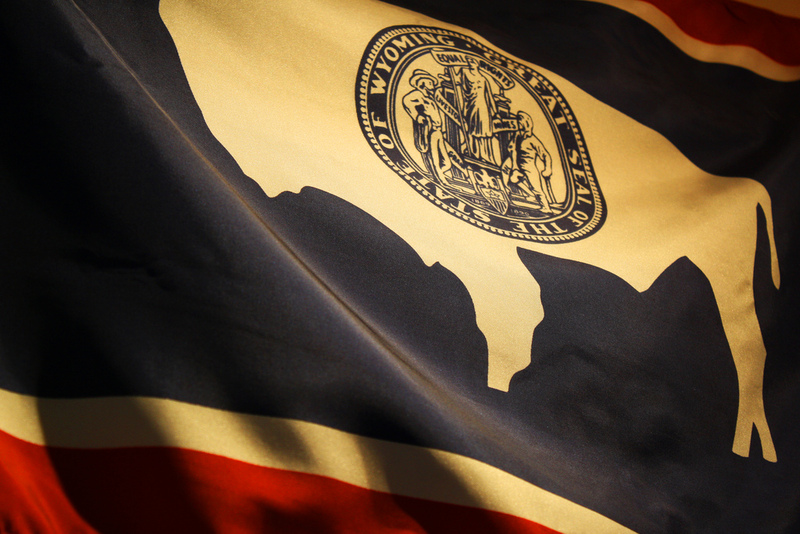 Wyoming state flag; waving in the breeze. Photo by Christina Maki/Flickr (Noncommercial Use Permitted with Attribution). 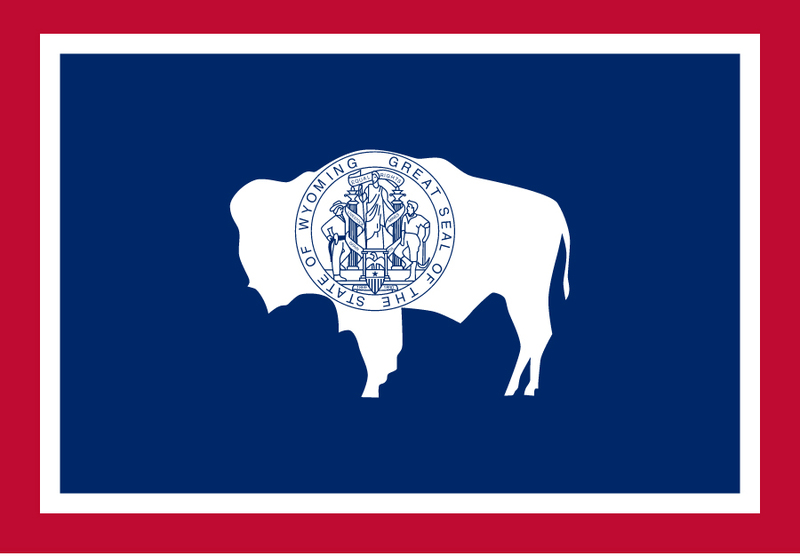 Wyoming's flag (public domain image on Wikipedia).